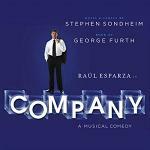 Stephen Sondheim was born in New York where his father was a dress manufacturer and his mother a dress designer. His early musical education included some piano lessons but his parents divorced when he 10. Through his mother who knew the family he became friends with Jamie Hammerstein, the son of Oscar Hammerstein II, and the senior Hammerstein was to become a major influence on his career. He grew to love musical theatre, attending the opening of Hammerstein's "South Pacific" and writing his first musical called "By George" set in the school he attended: George School. Following his graduation he went on to study music with Milton Babbitt. He did a few odd jobs for television but his big break came when Leonard Bernstein asked him to write the lyrics for "West Side Story", and this was a major success on Broadway and in London's West End. Other similar collaborations were to follow with Sondheim working with Jules Styne on "Gypsy" (based on the life of strip artist Gypsy Rose Lee) and with Richard Rodgers (Oscar Hammerstein's composer partner) on "Do I Hear a Waltz?" though this latter collaboration was affected by the composer's drink problem. Then began a fruitful period for Stephen Sondheim where he created many of his most successful musicals (writing both music and lyrics) working with producer/director Hal Prince whom he had met while still at school. 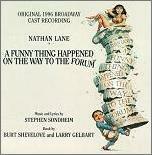 The comedy musical "A Funny Thing Happened on the Way to the Forum" with Zero Mostel in the lead role, was a major success and this was followed by " Company", "Follies" and "A Little Night Music" whose song "Send in the Clowns" became a hit in the charts. The pair's magical touch continued with "Pacific Overtures", "Sweeney Todd" and "Merrily We Roll Along". As a composer, Sondheim's music is definitely a few steps beyond the work of Rodgers and Hammerstein. His music tends to be more gritty and modern with touches of atonality where appropriate, bringing out the satirical aspects of his subject matter. 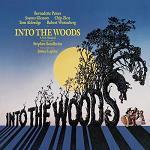 Sondheim worked with director James Lapine on "Sunday in the Park with George" (inspired by a painting by impressionist Georges Seurat), "Into the Woods" and "Passion", and with Jerry Zaks on "Assassins". Sondheim wrote "Wise Guys" in 1999 but its run was curtailed for legal reasons. He re-wrote the musical as "Bounce" and this went into production in 2003 (again with Hal Prince as director), though following mixed reviews it was revised in 2008 under the title "Road Show" (this time with John Doyle as director). Despite diminishing success with new musicals in the past decade or two, Sondheim remains as one of the most important composers of Broadway and Off-Broadway Shows. 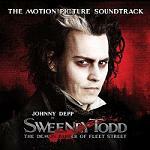 He has won many awards and his musicals have regularly been revived on stage or adapted for film or television, most recently with Tim Burton's version of "Sweeney Todd: The Demon Barber of Fleet Street". Sondheim celebrated his 80th birthday in 2010. In the early days Sondheim wrote song lyrics only working with other composers, but it wasn't long before he was doing both jobs. Reds - a Warren Beatty production with music credits for Dave Grusin and Sondheim who contributed a new song "Goodbye For Now"
ABC Stage 67 - score composer for 1 episode of this series "Evening Primrose"
Barbra Streisand's "The Broadway Album" was first released in 1985 with 7 out of its 13 tracks featuring songs or lyrics by Sondheim. Later re-releases of the album have had additional tracks. Comedian Frankie Howerd appeared in the 1963 (and the later 1986) London production of "A Funny Thing Happened on the Way to the Forum". The musical was the inspiration for his television series "Up Pompeii!". Many of the episode titles for the TV series Desperate Housewives are either song titles or lyrics penned by Stephen Sondheim. Stephen Sondheim shares a birthday (22nd March) with another very successful creator of musicals Andrew Lloyd-Webber who is 18 years younger than Sondheim.